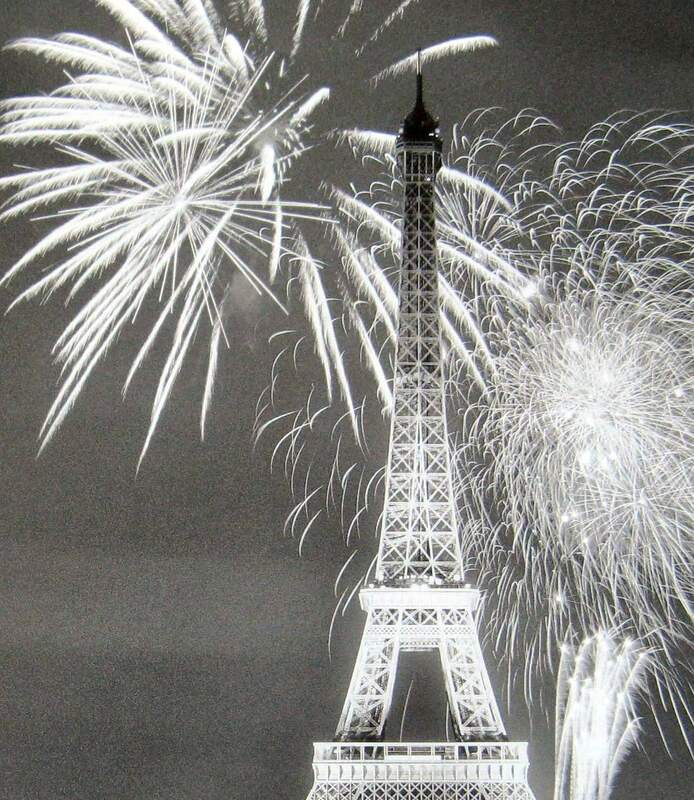 Happy 14th of Juillet to all those celebrating it! Champagne surely must be in order... oui oui oui! Let's go see if there are other celebrations... and other Outdoor Adventures via A Southern Daydreamer! Ooooh... and the answer is YES... or I should say oui oui oui... the painting is for sale in My Bargain Shop!!! I will go with you Fifi, it looks perfect to me! champagne is always in order dear Fifi as you know.....bonne fete!! Wonderful most enchanting to look at. Le Jour de Bastille Heureux! Would love to see that view also! Have a great day! I love your post! Mostly because it is my anniversary and the fireworks are so appropriate :-) Thanks for visiting my blog. Paris sounds perfect, especially with the Tour going on! Of course all that fuss is for MOI...today is MY birthday...:) lucky me to share this date with FRANCE !!! Bonne fête Fifi! 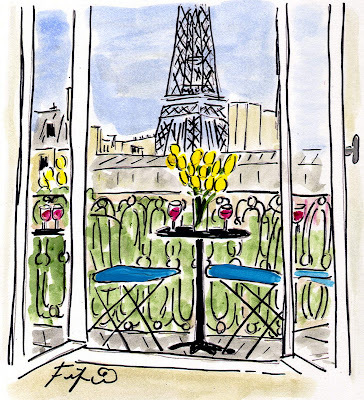 I would love to join you in your Paris dream this Outdoor Wednesday! What a great painting. This is my first visit to your blog and I am loving your style. 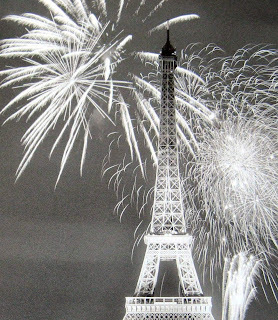 Cool painting and love the photo of Le Eiffel Tower with fireworks. Hope you're enjoying that bubbly lady!